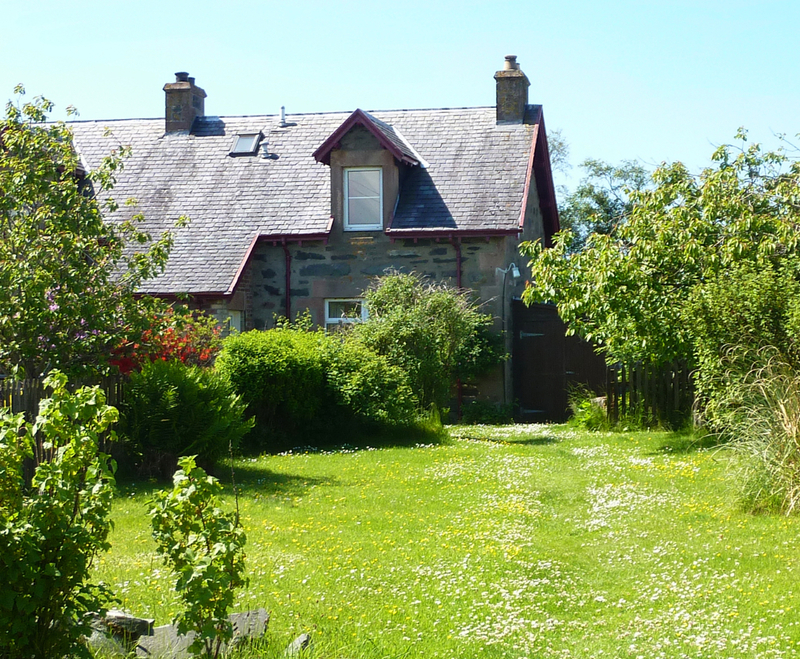 Station Cottage is a characterful cosy railwayman’s cottage next to tiny Duirinish Station on the Kyle of Lochalsh Line, set in beautiful unspoilt National Trust land by the sea near Plockton overlooking the Isles of Skye and Raasay and the mountains of Applecross. ‘Duirinish’ means ‘the headland of the deer’ in old Norse, and the moorland and crystal clear sea surrounding the cottage is home to abundant wildlife. 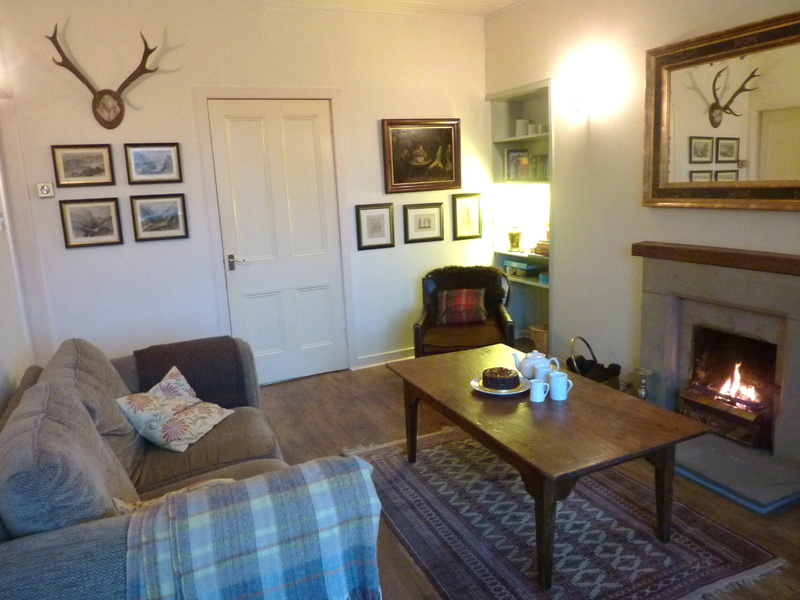 Family friendly and dog friendly, the cottage has recently been redecorated in a simple, traditional style to provide comfortable self catering accommodation for your holiday. It has a large garden and summerhouse with lovely views. It is both perfectly peaceful and secluded, yet not isolated, and is connected by the railway which carries 4 trains a day from Inverness to Kyle of Lochalsh. The ‘Kyle Line’ is famous as one of the most spectacular rail journeys in the world. 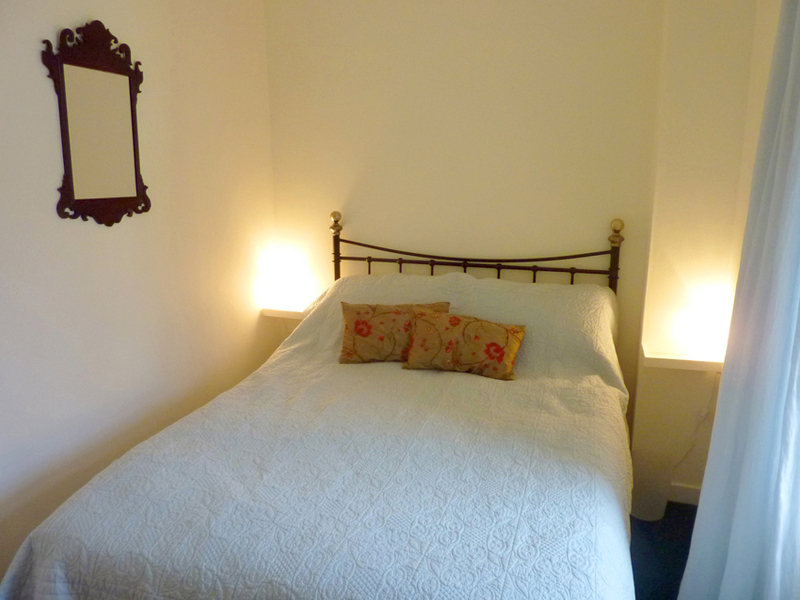 The cottage sleeps 6 in 3 bedrooms being best suited to 2 couples and 2 children. 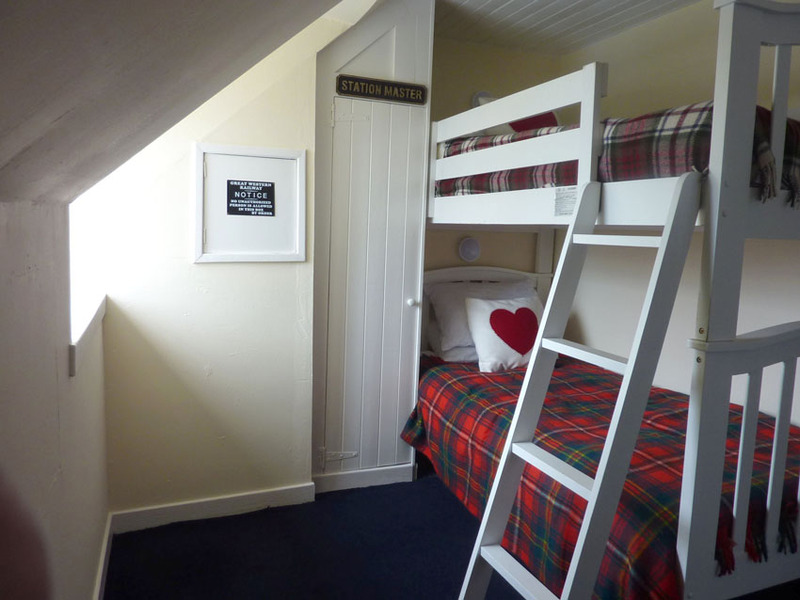 There are 2 doubles and a twin with 2 full-length bunk-beds. 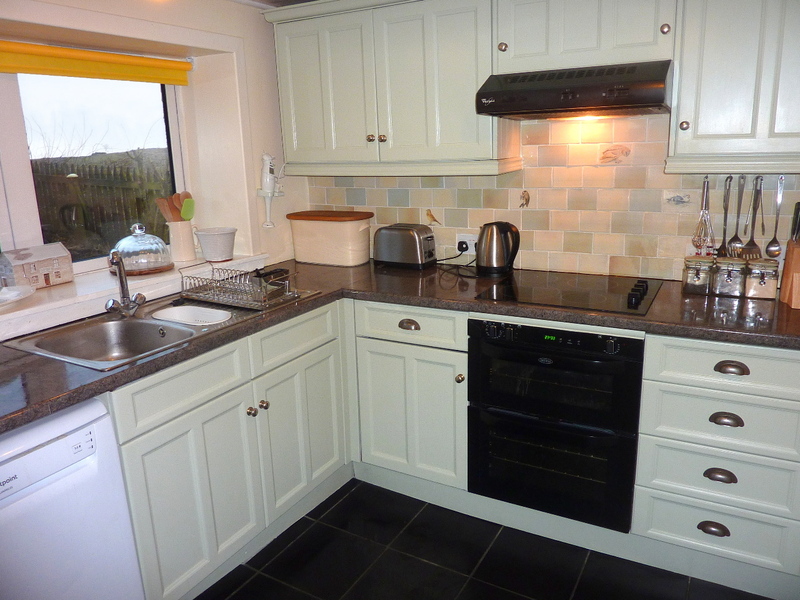 It has a well equipped kitchen, sitting room with open fire (all coal provided). The cottage also has electric wall heaters in all rooms. There is a summerhouse in the garden with a table tennis table, and a comfy day-bed from which to sit and watch the sun go down over the Isle of Skye. The cottage has secure off road parking for 2 cars. 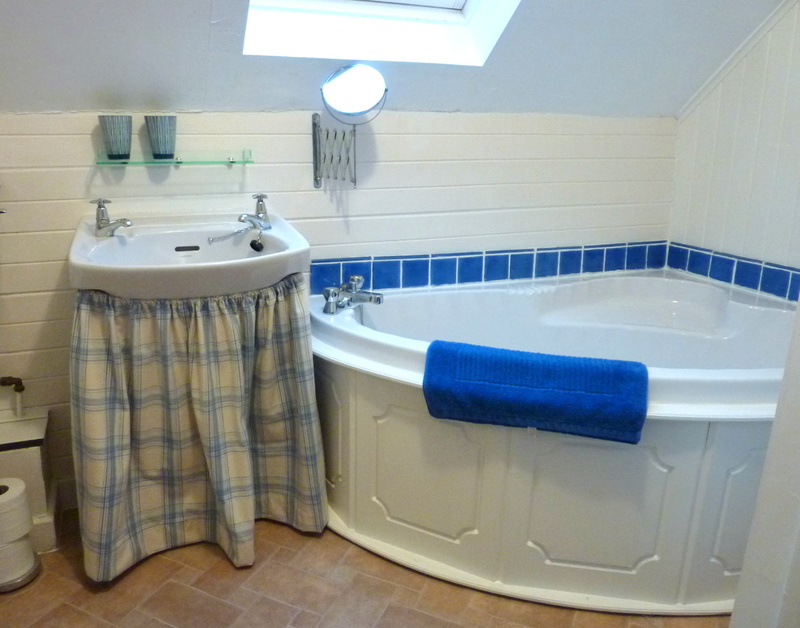 Station Cottage has free wi-fi, TV and DVD player, washing machine and good sized fridge freezer. There is a good selection of DVDs, games, books and maps of the local area.